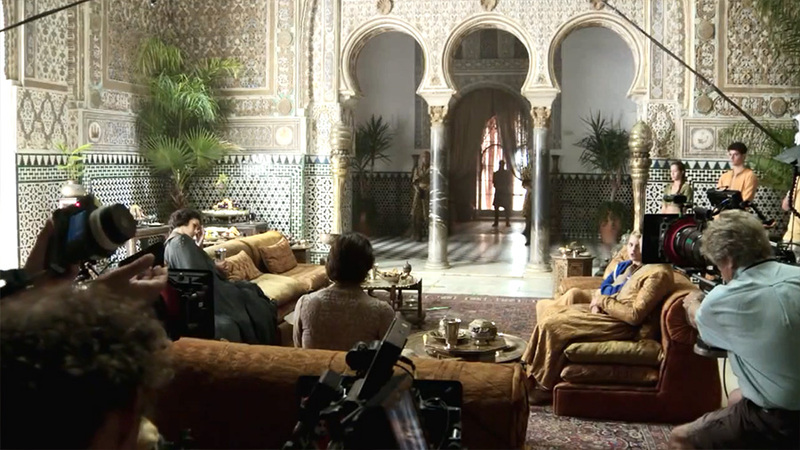 Dorne - Behind the Scenes. . HD Wallpaper and background images in the game of thrones club tagged: photo game of thrones season 5 dorne behind the scenes. This game of thrones photo contains jalan, pemandangan kota, perkotaan, kota adegan, and perkotaan pengaturan. There might also be brasserie and ruang tamu.